There have been a number of significant new product releases the week before NAB. On the software front, Adobe has new updates for the video apps on Creative Cloud. Intel had a big announcement on the hardware front, with the release of their newest generation of “Coffee Lake” mobile CPUs. They now offer six-core chips for use in laptops, and upped the performance and efficiency yet again, within their existing 14nm architecture. 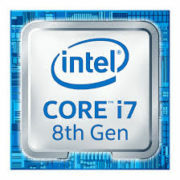 Their Core i9 line up now includes a 45W CPU in the mobile space, with the top end 8950H running at up to 4.8Ghz with Turboboost and 12MB of Cache. This development has prompted the release of a whole new refresh of laptops from the main manufacturers. HP announced updates to most of their top end Z-Book line or mobile workstations, while Dell announced new Alienware and Inspiron laptops that are more gaming focused, and many other vendors have new products launching as well. 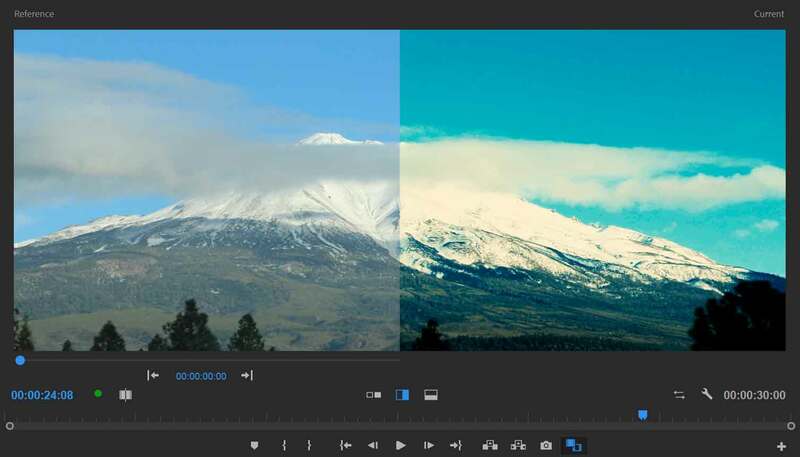 Adobe released an incremental update to their Creative Cloud video apps. Props to them for getting the update out ahead of NAB, for the second year in a row, instead of releasing the new software they are demoing weeks or months after the show is over. Premiere Pro 12.1 is the application with the most significant improvements, with support for VR editing on Windows Mixed Reality devices, integration of the Red 7.0 SDK for their IPP2 (Image Production Pipeline 2) color science, and new color matching tools. There is now an AI powered tool that should be able to automatically match the color between two shots, and the Lumetri color interface now includes a variety of comparison tools that should aid in coloring different shots to get a consistent look. Premiere also has a new Timecode Panel, with greatly enhanced functionality and options. 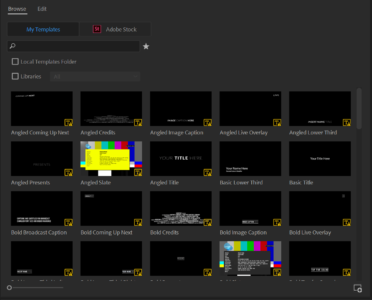 Adobe has been pushing forward with their Essential Graphics tool-sets in both Premiere and After Effects, which connects to their motion graphics templates on Adobe Stock. There are a few new options to give designers a greater deal of control, and to allow more adjustments to existing templates. After Effects also got improvements to the puppet tool, and the data driven animation tool-sets, with a wider set of options for importing source data to visualize. Character Animator got an update to 1.5 which brought a number of versions to smooth out the workflow. Recording sessions will be aided by a countdown option, and a snap overlay to align your pose with previous recordings. There are new options for organizing triggers, and more realistic physics options, as well as a UI refresh to help it match the other Adobe apps. One important note, is that the update to Premiere 12.1 will replace your current installation, which would normally be acceptable for a slight revision to the program. But the move to 12.1 also requires an upgrade to all of your projects, which is not backwards compatible with the previous version. This is not acceptable for an update that can’t co-exist with a previous version. The collaborative workflow issues with this should be obvious. Adobe officially recommends not updating during an existing project, which is wise, but in this case that prevents you from collaborating with others on the current version. Previously, I was on 9.2.1 for years for a major movie, but also had version 11 on my system, for working on other projects and using the newer features they had released, and this worked great. Given the magnitude of the changes in this update to Premiere Pro (and the possible issues that come with those) and the fact that it requires a project update, it should have been released as a standalone version and been able to install parallel to the existing 12.0.1 installation. After Effects on the other hand allows you to open projects from the newest update in the previous version on systems that haven’t been updated yet, as it should be with an incremental release. The end result of all that is, just be carefully about when you choose to upgrade, and make sure you discuss that with anyone you are working with, as it will impact your workflow if you share project files. Mike McCarthy is a technology consultant, with extensive experience in the film post-production industry. He started posting technology info and analysis at HD4PC in 2007. He broadened his focus with TechWithMikeFirst ten years later. Your first source for tech news and analysis.